Ace Bakery Rosemary Focaccia Burger! 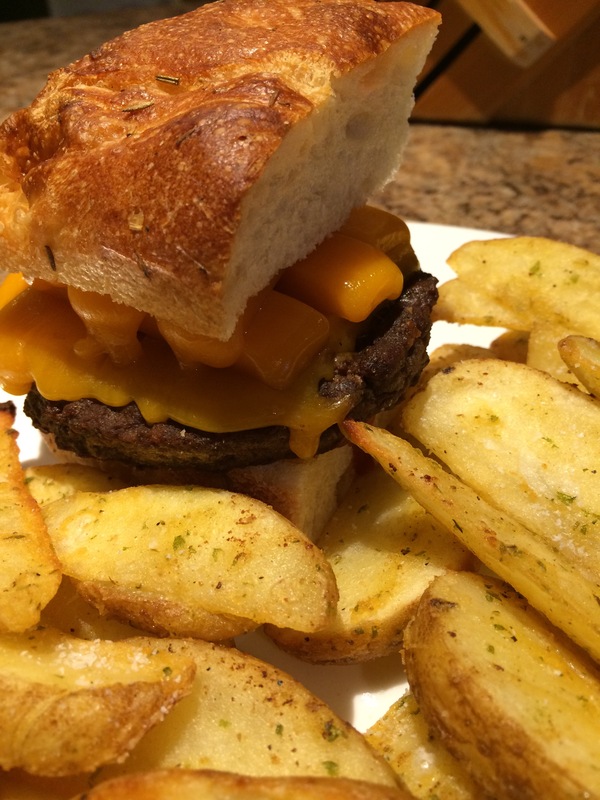 … w/crazy old Jensen cheddar, and secret-spiced-skin-on-baked-spud wedges! Categories: cheese, food, life, luck, musings | Tags: Ace Bakery, burger, cheddar, cheese, focaccia, Jensen, potatoes, secret spice, spuds | Permalink.